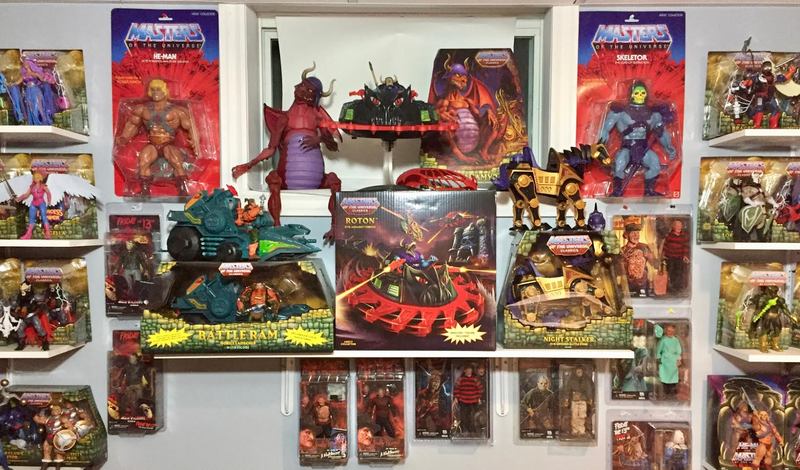 Interview with Toy Collector: Peter W! 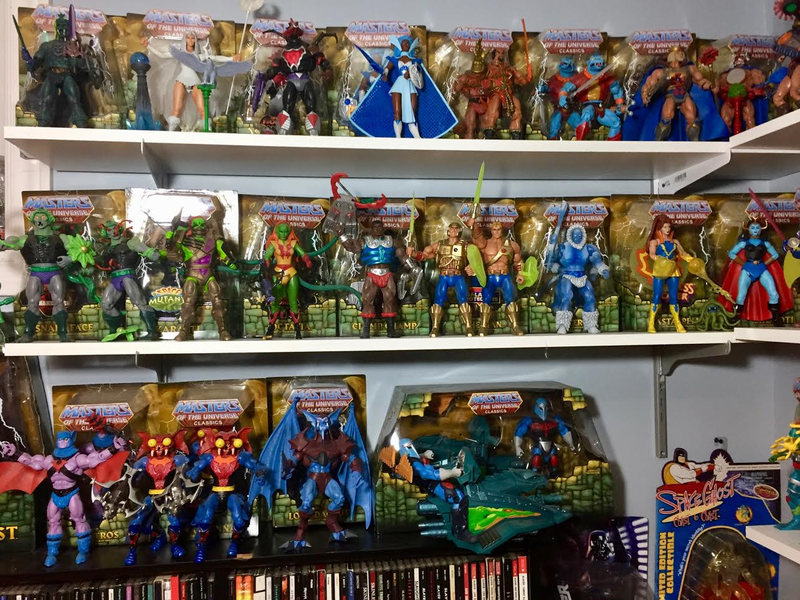 Welcome to my Fourth interview segment, where a collector answers 13 short questions. The same questions will be given to every collector appearing in this segment. 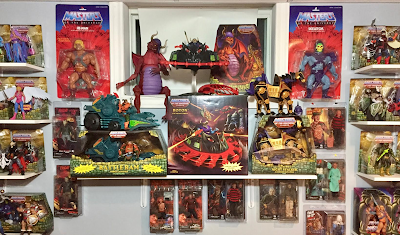 I’m really excited to welcome Canadian Masters of the Universe Collector, Peter W onto the blog. MOTU! : Before we start with the magic 13 questions, can you tell us a bit about yourself? Peter: Hi, there! Thanks for asking me to be a part of this segment! I’m married to a wonderful woman and we have an amazing 17 month old little girl. I have a full time professional career that is very fulfilling and I love playing and listen to music – especially heavy metal. 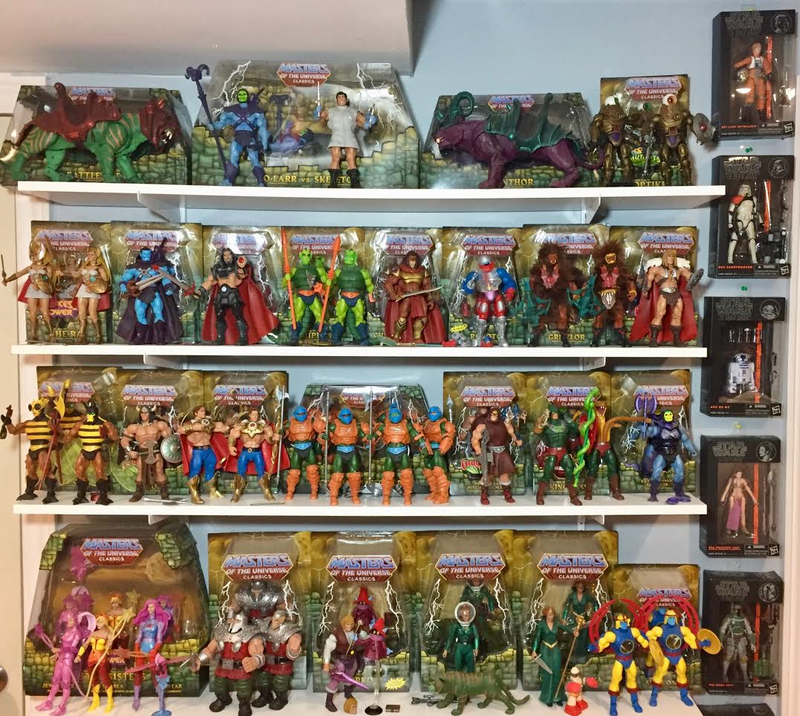 I also run my own blog, Electrified Porcupine (www.electrifiedporcupine.com) where I take a look at all the different collectible, figures, and music I purchase and I blog about WWE wrestling (it’s my soap that I’ve watched all my life and I can’t get out). 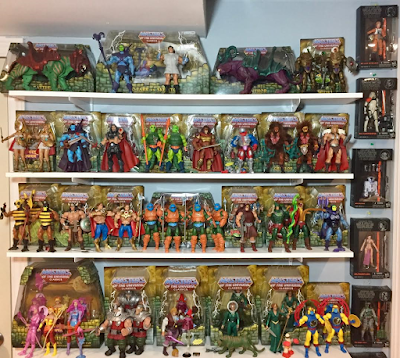 Peter: I don’t know if I have a specific inspiration for collecting, but maybe it’s more of an obsession that started out as a kid. 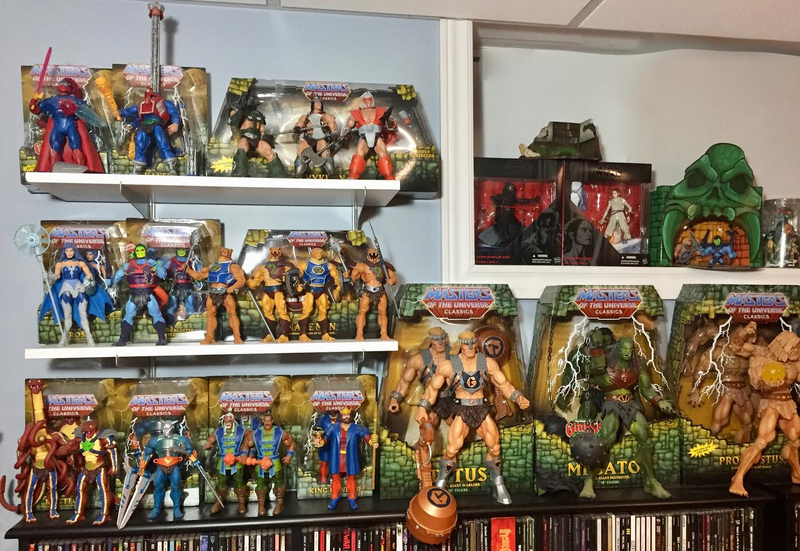 I had almost all the vintage MOTU and Teenage Mutant Ninja Turtles when I was a child (as well as a plethora of other various figures – thanks Mom and Dad). I sold most of everything when I was 12 in a garage sale because I was trying to get my own money for video games and music as it was of more importance to me at that point in my life. The collecting bug, whether it was music, movies, games, or toys, has always been a part of me. 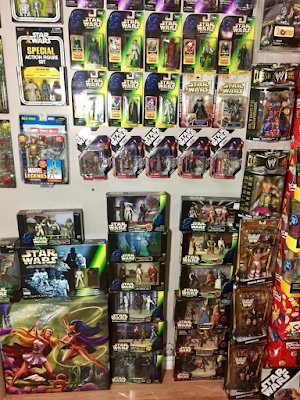 Peter: For my “adult” collecting life, it actually started when I was probably 16 or 17 when the new Star Wars: Power of the Force line started to make their appearance in stores. I saw Boba Fett and bought it immediately, not thinking anything more of it. It was a cool figure and the first Star Wars figure I had seen in a store in a very long time. Then I went back and got Darth Vader because, well, he’s Darth Vader. Remember how buff those other figures were? The proportions were nuts! After looking at the back of the card for a week or two and seeing the other characters, I figured it wouldn’t hurt just to go out and get the rest of the set. I did and I was hooked back into collecting toys. 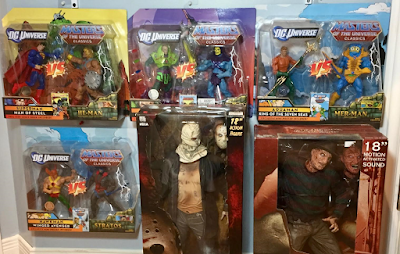 I continued on with all the Power of the Force figures they released and grabbed some McFarlane stuff that was blowing everyone away in the 90s (like the Movie Maniacs line as I’ve always loved horror movies). It hasn’t stopped from there. 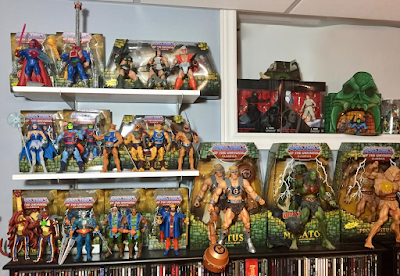 Peter: I collect MOTUC, Star Wars 1/6 scale figures from Sideshow Collectibles and Hot Toys, horror movie figures by NECA, and TMNT stuff from NECA, MegaBloks, and DreamEX. I recently got back into collecting 3 ¾” Star Wars figures when The Force Awakens came out. 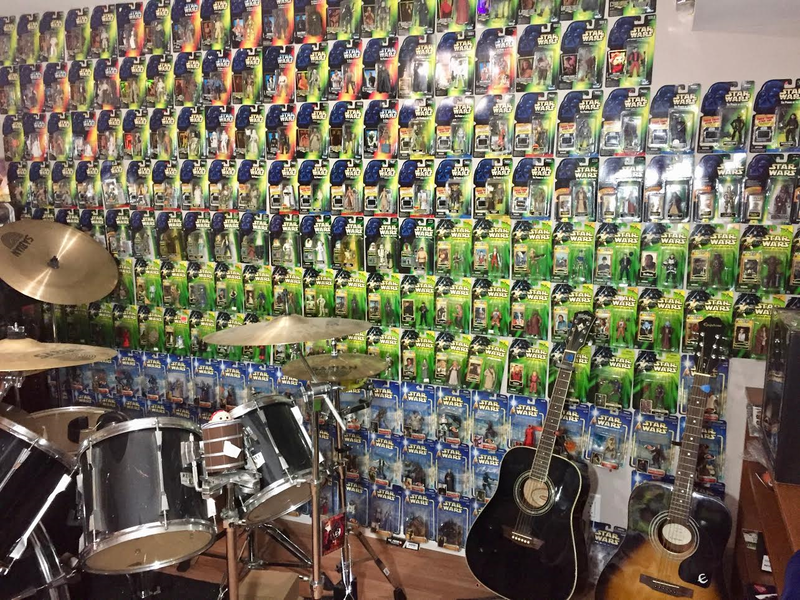 I left collecting Star Wars figures in that scale just before they started Revenge of the Sith figures. I regret missing out on the Revenge of the Sith line (and would still like to score myself a complete collection), but at that time, I was putting myself through higher education and didn’t have the money to keep collecting every single figure, so I just stopped completely with Star Wars. At that time I was also collecting Playmates’ line of The Simpsons figures and I could really only afford to collect one line so I stuck with them. I still need some of the later waves to complete that collection. 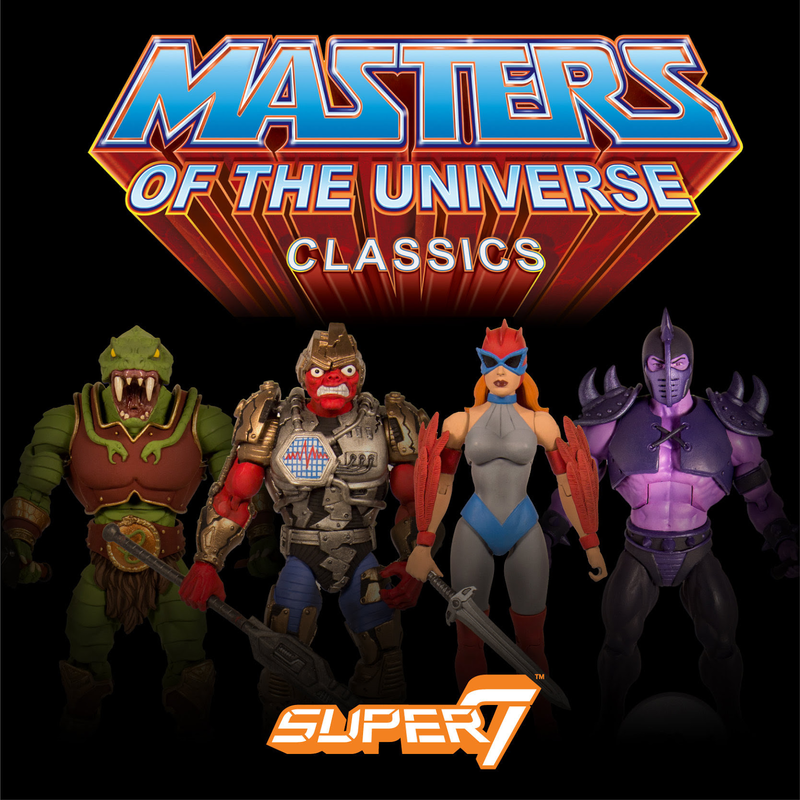 I really can’t wait to see what Super7 is going to do with MOTUC! 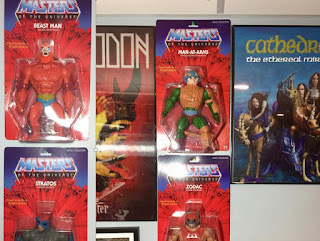 I have one set of the reissues coming along with an extra Ram Man. 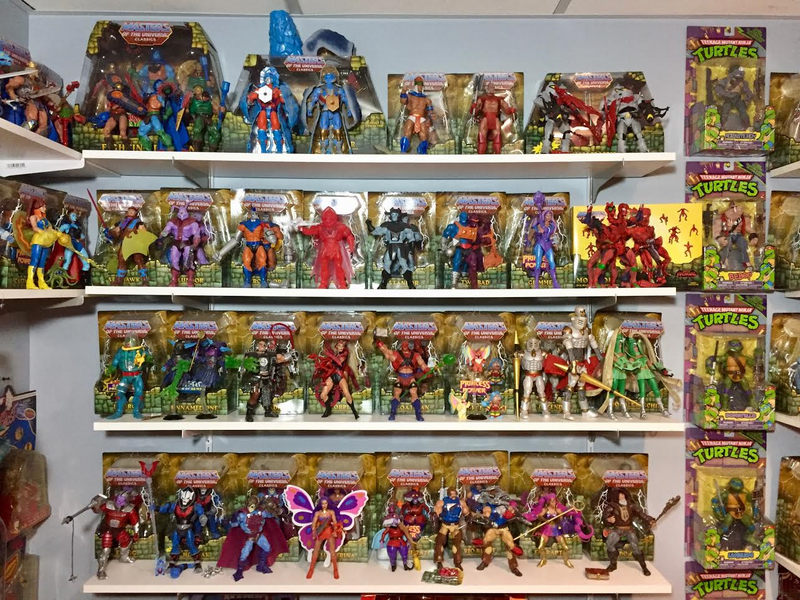 If any extras go on sale on their site in March, I’ll probably break down and get another set. I just couldn’t afford two full sets at the time. 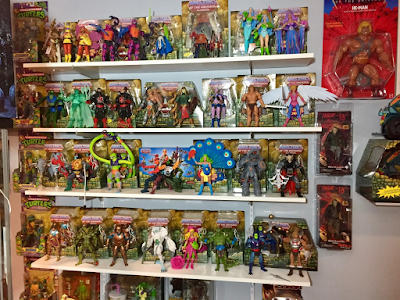 I may start slowly getting into tracking down carded vintage MOTU figures because those figures (and Star Wars) were my main toys when I was growing up. 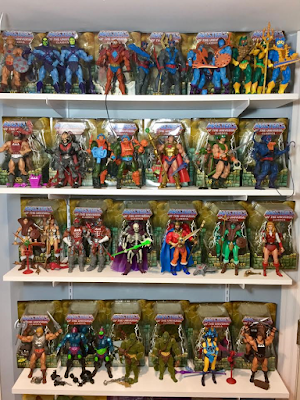 I just know once I get my first vintage MOTU figure mint on card, it will open a whole new can of worms and I don’t know if my wallet will like that. Peter: That’s tough. 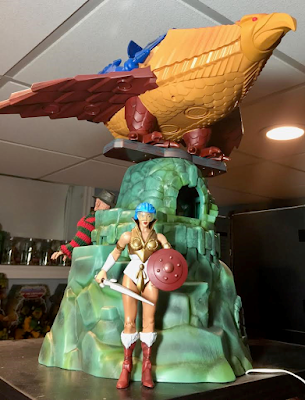 If it’s MOTU, it’s hard not to say Castle Grayskull as who would imagine that in this day and age that we actually got one in scale with the new figures. 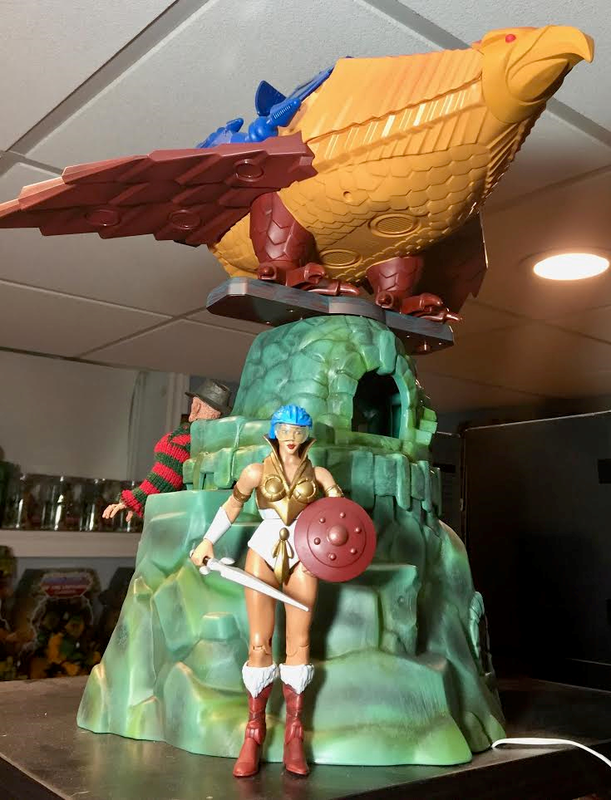 I JUST got the very first King Grayskull this week, too, as I had never gotten one when they first went on sale, so that’s a very important piece for me, too. 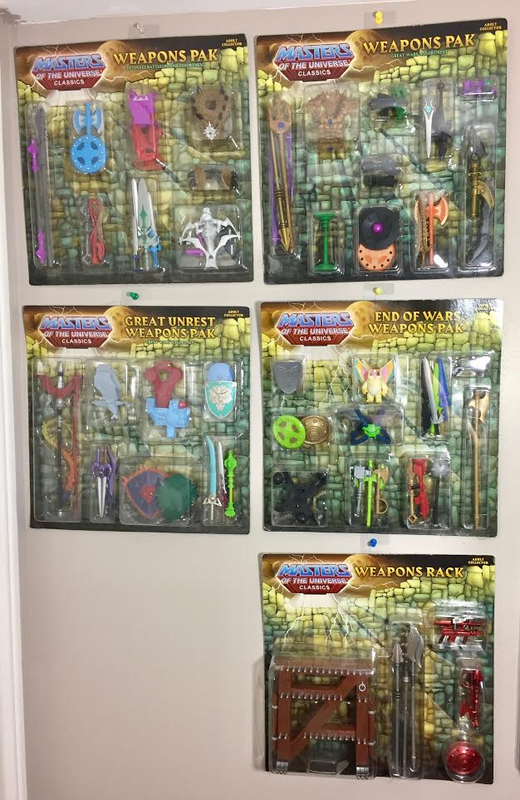 I still need to get Twistoid and Rotar as I missed out when they went on sale, so currently that’s my grail of completing my MOTUC collection. For other lines, the Sideshow Jabba and his Throne and General Grevious are both highlights for me. The Bespin Luke with the additional bonus Vader mask that Hot Toys released years back is now something I want to save for because it goes for quite a bit of money now. Peter: I think the community as a whole inspires me and that’s what really led me to starting Electrified Porcupine. I have read (and continue to read) excellent articles/features/pictorials from writers and contributors over at TheFwoosh.com, TNI, Itsalltrue.net and The Toyark. 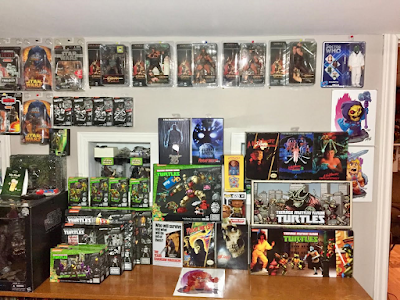 I have also been inspired by Matt over at Dinosaur Dracula, Michael Crawford and his toy reviews, and I’ve liked the work Pixel Dan has done. All those collectively, plus reading the passion of fans on various sites, led me to start Electrified Porcupine and share my passion for toys and collecting. Peter: I don’t know if I’m embarrassed by anything I’ve done as a collector but I’m sure others who have gone shopping with me may have been embarrassed in the past as I’m rummaging through the pegs looking for figures when kids are also in the aisle trying to look at the figures, too. Or maybe it’s when my friends or my wife go to the checkout with me and the cashier asks if the figs are for kids and I tell them they’re for me. I really don’t care, though, because none of that bothers me. 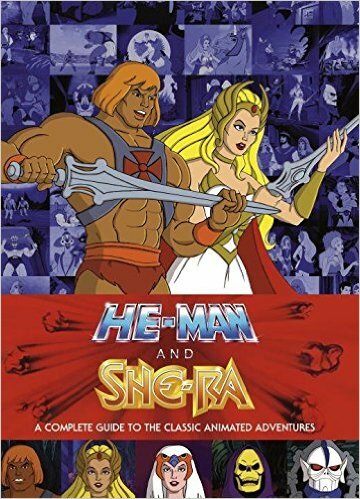 Peter: For the MOTU Filmation episode, it would have to be “Song of Celice.” For some reason, that episode, its characters, and plot have stuck with me ever since I first saw it on TV. 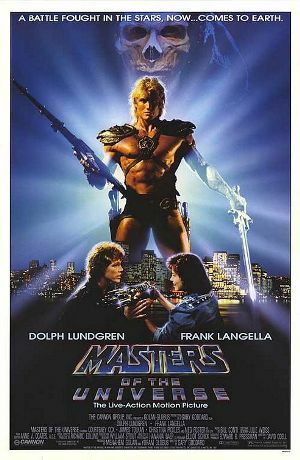 I rented the VHS tape numerous times when I was a kid (until someone made me a VHS copy). I was thrilled when Lizard Man was actually released because I had wanted a toy of him since this episode. I hope they finally release a Celice figure one day. 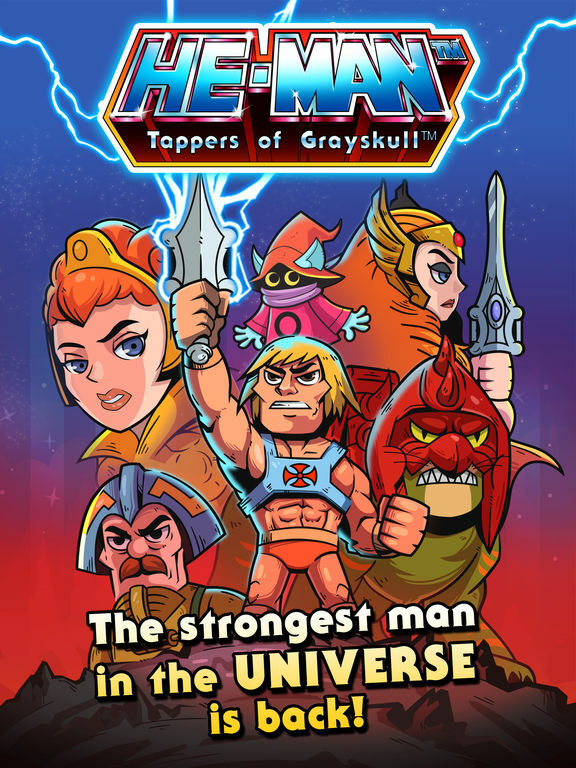 I can’t say I have a favourite mini-comic because many are awesome but to pick one off the top, I would have to be “Masks of Power.” I love the art, the story, and the demons that end up wearing the masks. 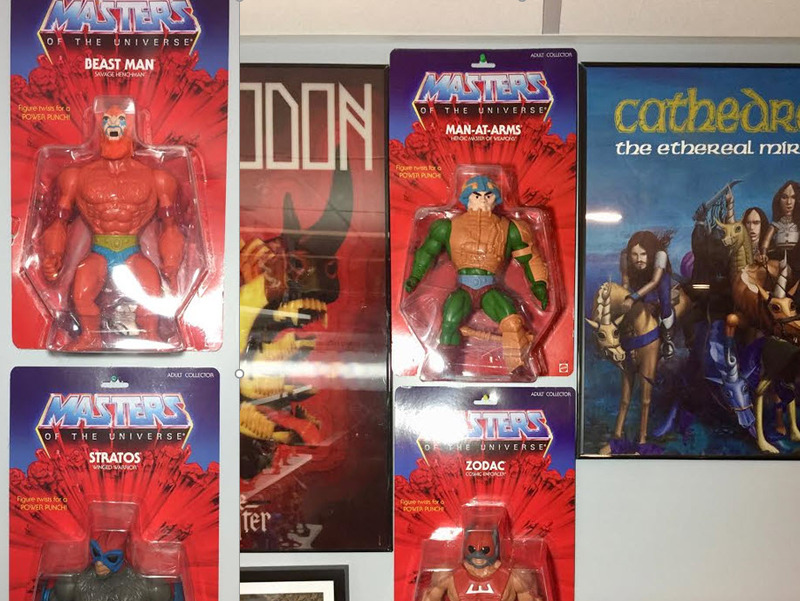 I think many in the collecting community are hankering for those demons to finally be made into action figures. Peter: I’m not sure I would change anything and here’s why: people have the freedom to express their satisfaction or dissatisfaction in any way and it can bring about good ideas, discussions, and debates. The people who personally attack others without having the knowledge of the “behind the scenes” stuff can actually make you realize that you don’t want or need to be that kind of person in the collecting community. 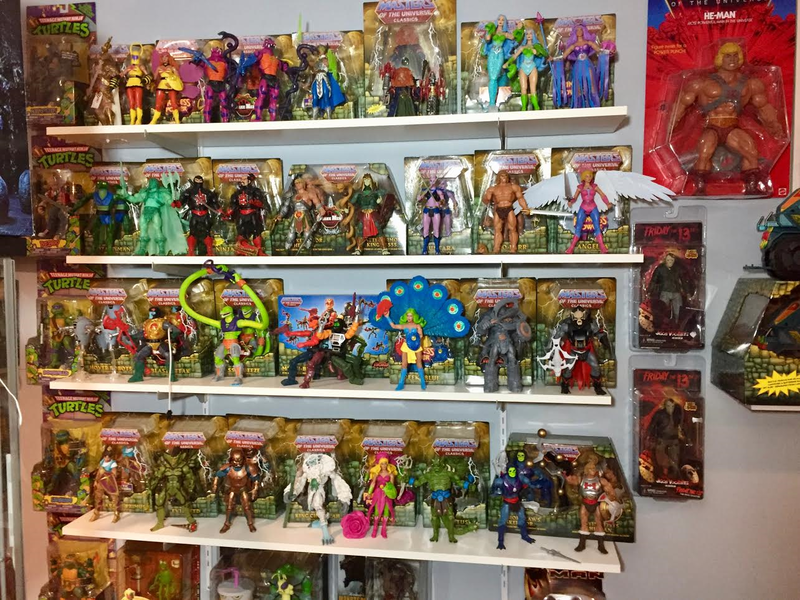 I totally understand the frustration behind MattyCollector’s 2016 year but to attack members for their thoughts or perceptions (or their frustrations that they’re allowed to have over it), boggles my mind. Then again, I’d rather have people spout off what they want to rather than be censored. People have the power to ignore it or not respond back to anything they choose. Peter: I lurk on some pages and FB groups but I don’t post very often. I like to read people’s opinions on things but use my own site to express my thoughts. I can be pretty sarcastic and online that may be a seen as a negative because it’s easy to misinterpret the tone of what is being written and I see people blow up at each other because of that or simply because the opinion of one doesn’t match their own. I don’t need to get caught up in any of that, so I just read the banter. Peter: HAHA! I have never been asked this question or even thought about it. I think I’d leave that up to the people that know me well to answer. 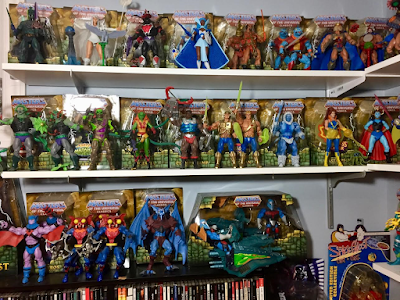 Peter: I spend hard earned money on my collection and I feel I should be getting my money’s worth, so I can have harsh opinions when things aren’t right with a certain product (see my thoughts on the Club Grayskull Evil-Lyn figure as an example, and that was toned down from my original draft). 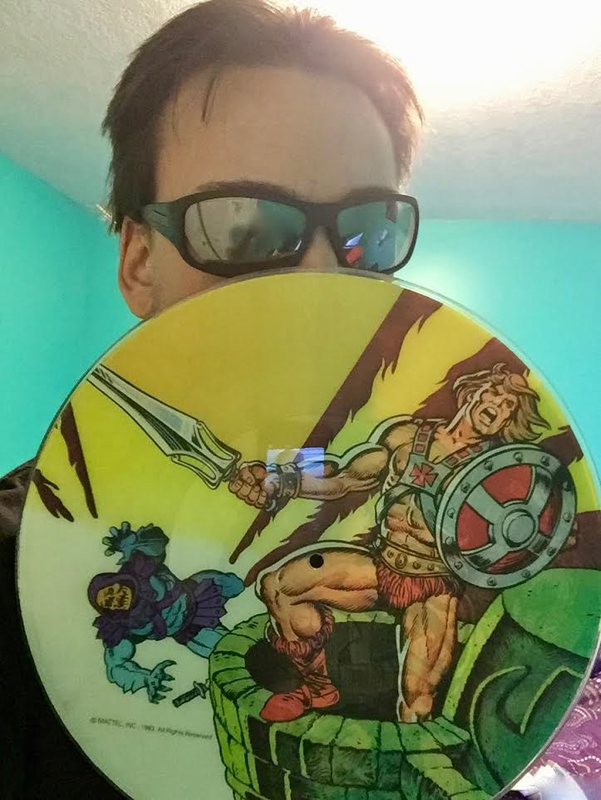 I guess most people wouldn’t know that I love sour candy, am an avid gamer (although being dedicated to my site and having a toddler kinda has put gaming on the backburner over the last year), and I try not to take anything for granted. I try and see the glass half-full in life. 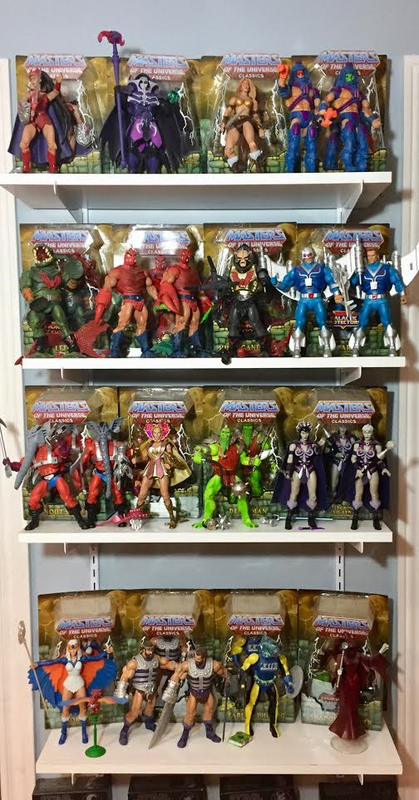 I also have bought, since the beginning of MOTUC being available, two of every figure. 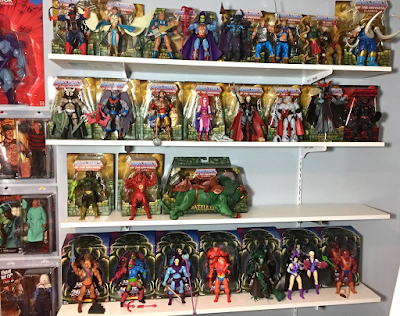 I’ve purchased three or more if the figure had a second (or third) head, so I could display all the possible options on my shelf. I keep one in the box to display and place a figure posed in front of the boxed one. I have no idea why I had the notion to start doing that. Perhaps I expected the line to go for a year or two and it would look cool. 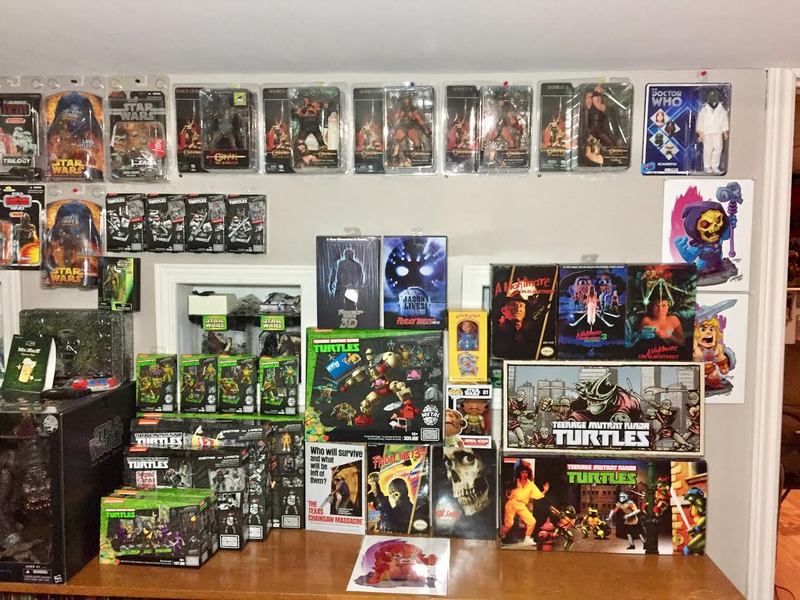 When I realized the line was heading into its third year, I couldn’t just stop buying like that because I had already come so far. 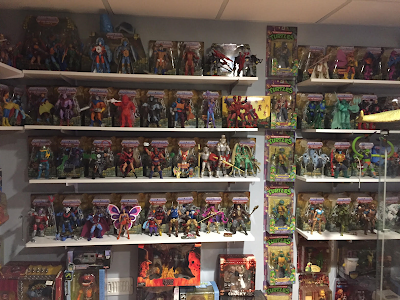 Now I have almost absolutely no room in my man-cave area – which my wife totally supports (thanks, baby!). I’m doing my best to get better at photography and editing the pictures. I also started doing videos for my YouTube page I started last year. I embed them in my articles (when applicable) so people can enjoy my articles for entertainment purposes or to help them decide whether or not they want to spend their hard earned money on a product. I need to get better at them – but I enjoy writing more than talking on camera. 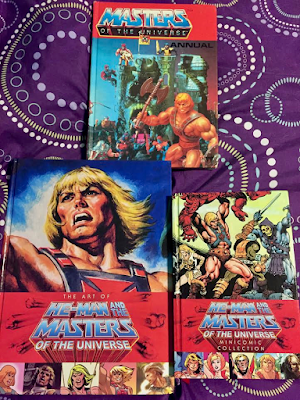 MOTU! : 12. I notice that a lot of collectors also collect comics (myself included). What do you think is the common factor that draws some people to both of these hobbies? Peter: Both are entertainment mediums that people use to escape the stress of everyday life. Comics provide a world where people engage in amazing stories and are captivated by the art and characters. 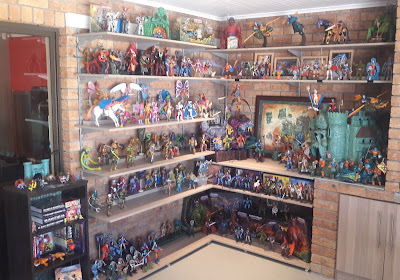 People connect to the characters and the stories and like to show what they connect with through something tangible by purchasing action figures or other collectibles. Some people enjoy movies, TV shows, food, books, board games, “reality” TV show garbage, or any other form of entertainment and connect with those in different ways outside that specific medium as well. 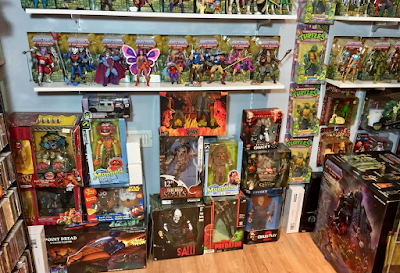 People who enjoy specific movies and TV shows also buy collectibles or action figures from those mediums as well, so comic fans doing the same with action figures or collectibles is no different. 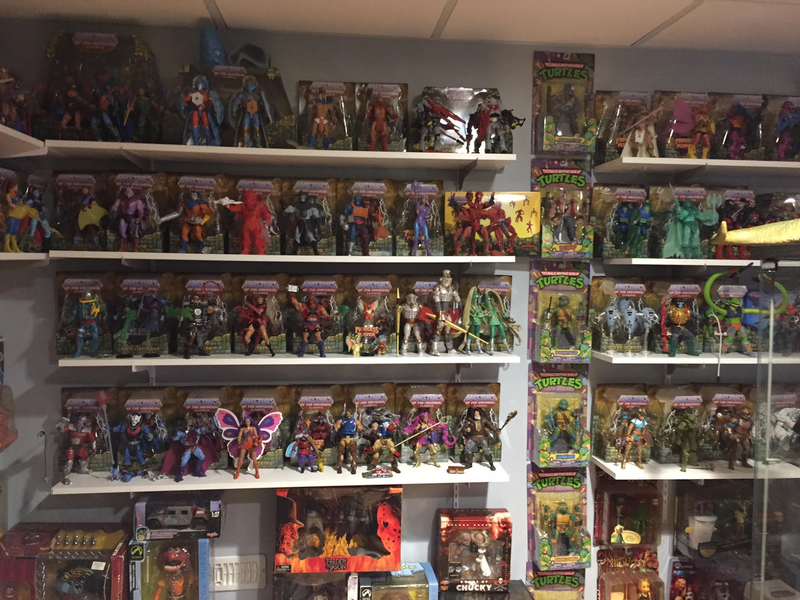 Peter: My wife laughed at me the first time I said this but it’s so true: I think collecting action figures is like collecting little pieces of art. Sculptors bring these things to life and a team of people work on the logistics to get these things to us. As adults, we can appreciate all the hard work that goes into these things and the companies are trying to provide the best product they can. That’s why I also have such a mint on card/mint in package collection. I love the art and design that go into a lot of packaging that’s used to bring these items to us (just look at what NECA has done with their “Ultimate” line – beautiful). 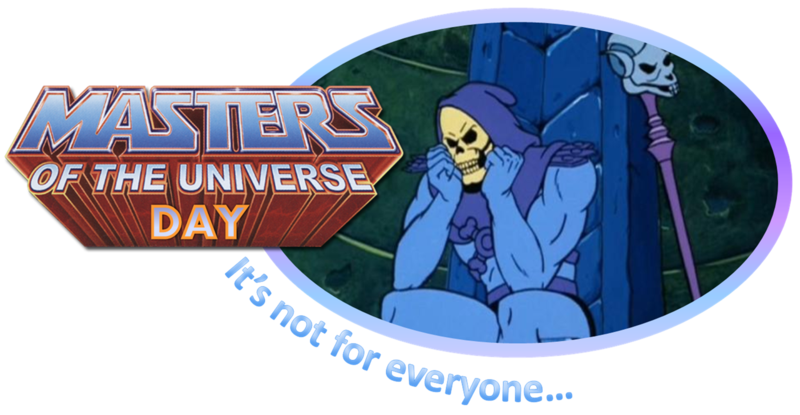 I think that’s also why there’s such rage online when something isn’t delivered as well as it should be (like the recent Black Series Princess Leia or certain MOTUC products): there’s passion from a very dedicated group of people. I know that the majority of us in the collecting world want to provide constructive criticism and not spread negativity, but I’m sure there are cases were the negativity/anger is definitely valid for some people based on specific criteria. I guess the final point of this rant is that we’re not owed anything as collectors – we should be grateful we get anything at all made from our favourite brands and characters. If you don’t like it, vote with your wallet. 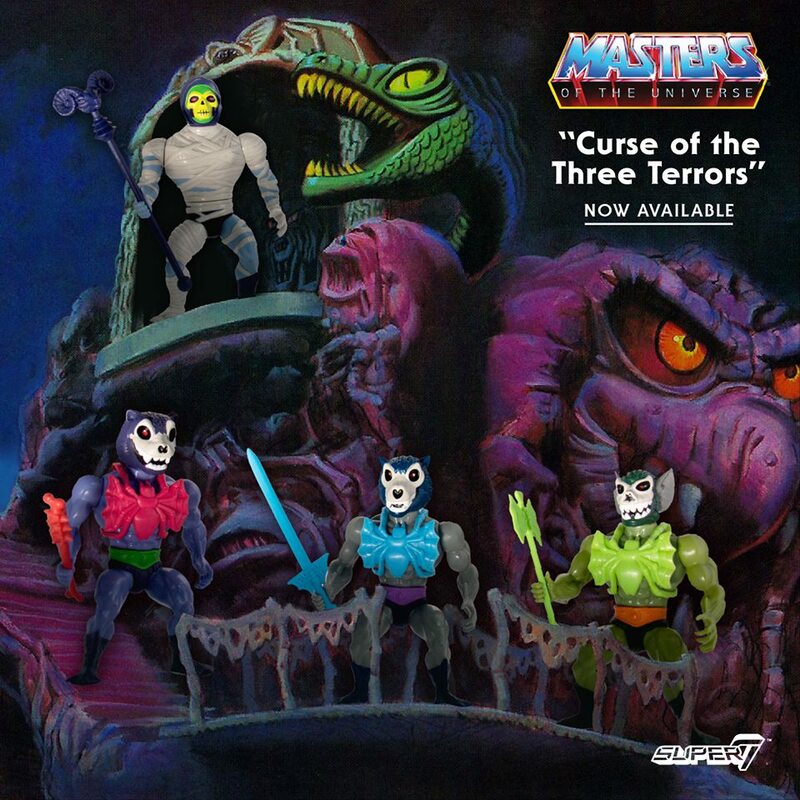 MOTU! : Well thank you so much for joining me today Peter. It has been an immense pleasure and I’m sure my readers will enjoy reading your answers as much as I have! Peter: Thank you very much for asking me to answer these questions. I had a lot to reflect on here. 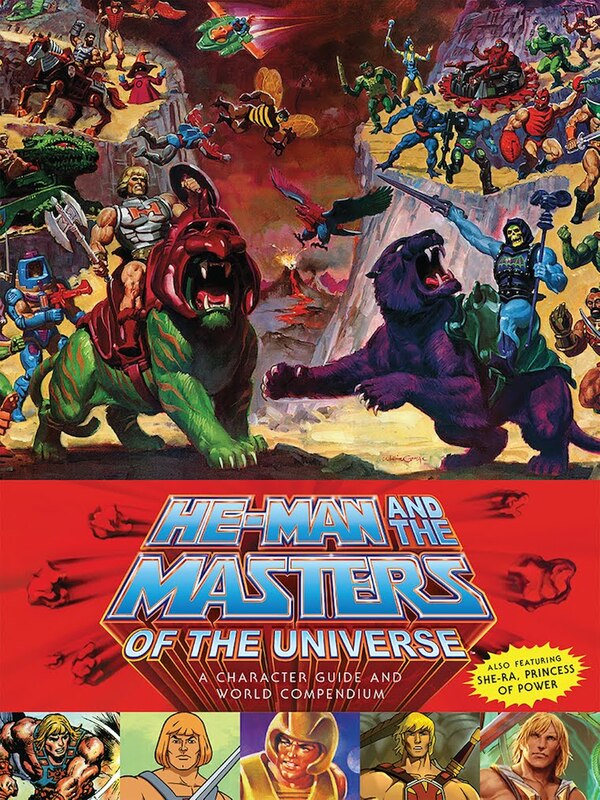 I hope your readers also check out my website and also chime in on my MOTUC features. All my social media is linked to the main page, so if anyone also wants to like and follow on FB, Twitter, and Instagram, as well as subscribe to my Youtube channel, that would be great! Cheers and thanks again!